The use of a bereavement poem, funeral poem or in memory of poems can significantly help with the coping of lost loved ones. The hopelessness of losing a loved one is often one of the most difficult things anyone ever has to experience in life. It may be hard to believe at the time but there is hope and one day it will feel better than it does when the loss is new. There are many experts with varying opinions about the things you can do to get over the loss of a loved one but it really is a unique journey for each individual. An effectively-chosen poem could make an enormous difference to a funeral. I have found that using memorial poems, whether you create it yourself or find one that speaks to your heart, can greatly assist with expressing and coping with feelings or can help a friend or family member coping with an unfortunate loss. You will find these poems in funeral programs and funeral bulletins. The very best funeral poems naturally discuss of sadness, and of loss. However they also have an uplifting feel, a way of valuing the memorable things about an individual’s life, a way of celebration and of love. Sometimes finding the right words to say at a funeral is quite difficult, poems can often help and give some inspiration. We have examples of these funeral poems below. When you are asked to speak or are expected to speak at a funeral or remembrance service a bereavement poem is a good way of getting through what you need to express. Often a memorial poem is used as a tribute in a eulogy or on a memorial site where family and friends can leave words of comfort to each other. A memorial poem can be used for expressing grief and putting into words what is otherwise difficult to express. There are all types of In Memory Of poems, certain poems have been written especially for Grandparents, others for the loss of a child, others for friends and other family members. Funeral poems are meant to be touching and emotional while a memorial poem is meant to help with the process of coping with loss and is often posted on a memorial site by the funeral home. When looking for or creating a poem for a funeral you should keep in mind poems for memorial services need to speak to you, while also referencing the person you have lost and be appropriate to speak to the other grieving friends and family. Poems for memorial services should not only reference the person that was lost but also be reflective of their life, their relationships or faith and things they loved. A funeral poem that has been well chosen or well written can become a lifelong keepsake. 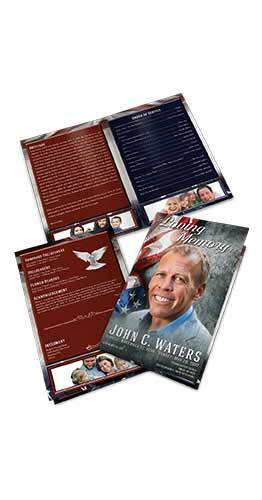 Often copies are printed and given out as a keepsake during a memorial service for others who were also close to the deceased. Sometimes people create a scrapbook utilizing the funeral poem along with placing photos of the deceased. This memento is often shared on line on a memorial website and allows anyone to go back to it for memory sake. Using poetry or prose to write down feelings can be a healing way to deal with extreme grief and is beautifully touching to those who are also able to share in reading the poem. Sharing a poem, going through the process of locating the right funeral poem or creating your own unique poem is a way to wrap up all of the memories you have of a certain person and becomes a way to memorialize those memories and expressions. I know that my another shall finish the task I must leave undone. you can only guess, how much you gave me in happiness. so bless those memories within your heart. Have you not been there for me? A remembrance in one’s heart. for in them is hidden the gate to eternity. is to be laid upon him in honour. that he shall wear the mark of the king? A poem can help describe the person in many aspects. Take your time and choose a poem that you feel is relative to your feelings towards that person. Feel free to look at our Funeral Songs article as well.